Charleville Lodge is an elegant Victorian terrace of houses located in the Phibsborough area of Dublin City, near the Phoenix Park and within easy reach of Dublin Airport, car ferries, many historical sights, theatres, shops and restaurants. Beautifully restored and tastefully refurbished in a traditional manner, Charleville Lodge is often referred to as boutique accommodation. It offers our guests inimitable service and comfort in an atmosphere that is welcoming, attentive and personal. The spacious secure car park to the rear of Charleville Lodge is at the disposal of our guests. You are insured of the lowest internet-rates. But you can pay at the reception of Charleville Lodge, Dublin 7. Without reservation costs and at the lowest price! After your reservation you receive a conformation by e-mail. 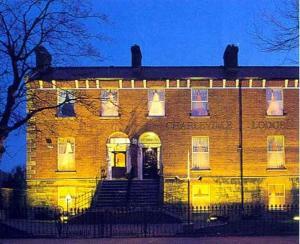 We wish you a pleasant stay at our hotel in Dublin 7. All hotels within Dublin 7: Click here.